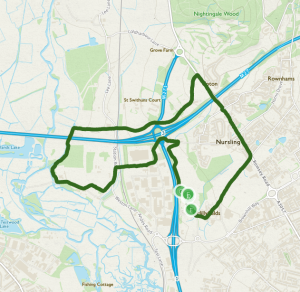 Click on the map image to display the route in OS Maps. Generally the routes will start by leaving from the front of the building but why not alternate the route and see which direction you prefer. 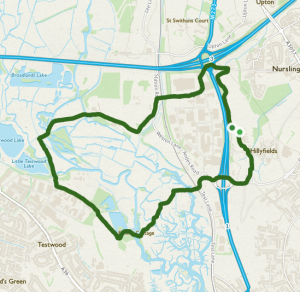 The route GPX can also be downloaded below (they have been zipped as WordPress doesn’t allow you to import .gpx files). 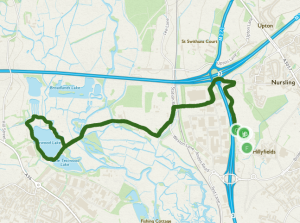 The route distance increases as you scroll down the page. Please wear suitable footwear based on the terrain of the route. When running on the road it is advisable to run on the right hand side so that you can see the oncoming traffic with the exception of going round corners its best to cross over to the left hand side if possible. Please also be respectful of other road/path users. 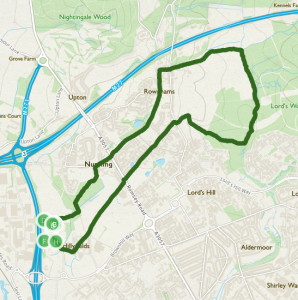 Description: An excellent route for beginners and its what we use for the Desk to 5k programme. Description: Same as above but with the addition of Bakers Drove and Horns Drove. This route is used for the final weeks of Desk to 5k when we need to increase the distance. Description: A favourite among many and is used all year round for our monthly handicap. Description: Take care at the motorway crossing at the start of the route and check the tide prediction website before setting off (set the Max graph size to 1 Day and hit the Apply button). Description: Takes in most of the handicap route plus a couple of extra sections. Note where you turn off before you come to the end of Mill Lane. Description: An excellent route if you want to go off road. Be warned it can get very muddy! Description: An extended version of the Tanners Brook run to take in more of the woods. Description: Plenty of scenery around the lakes. Why not do 2 laps of the lakes to increase the distance. 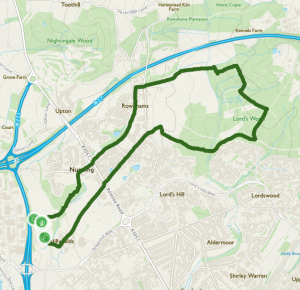 Description: A flat and fast course used for the Lordshill 10k in June. All routes were run between November 2015 and January 2016 to ensure accuracy.